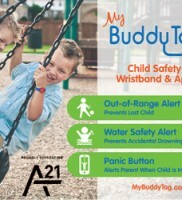 BuddyTag alarms you when your child is out of your proximity. Conveniently located on wristband. 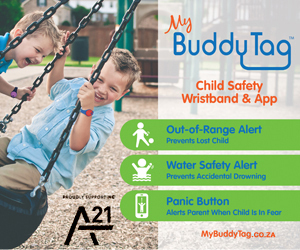 Alerts at the touch of a button. Perfect for private and public areas or threatening circumstances. 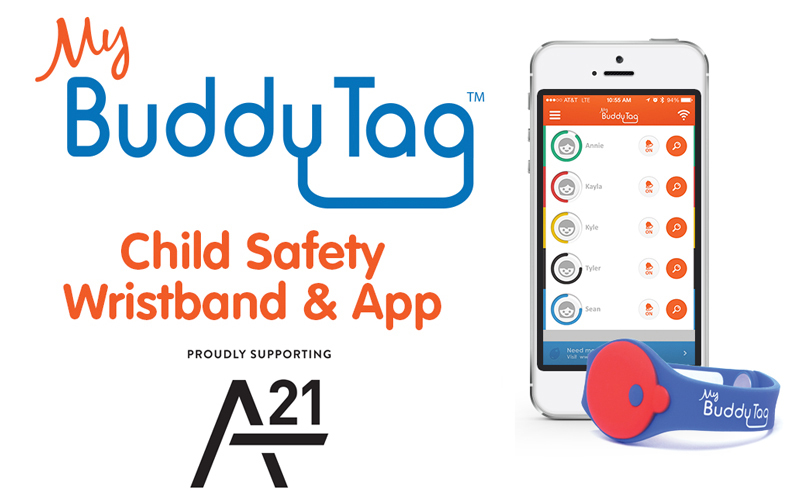 BuddyTag works with iPhone 4S, 5, 5C, 5S and Samsung Galaxy S4 & Note 3 using Android version 4.3 only. 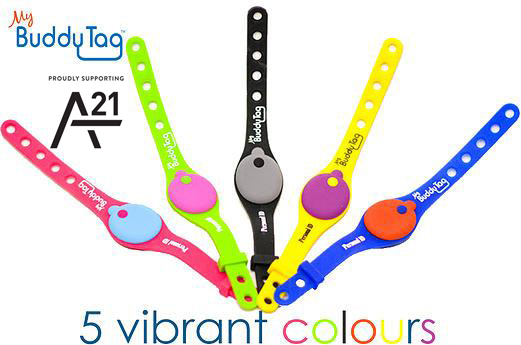 This unique product comes in stylish wristbands. 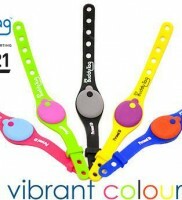 Easy to wear even for your infant. 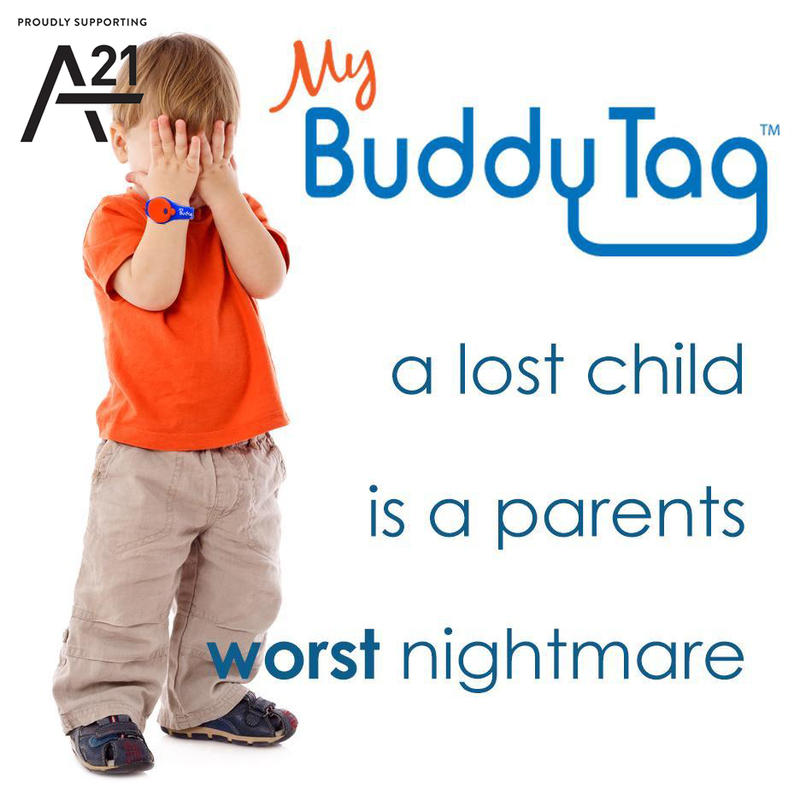 Child ID in BuddyTag wristband helps reunite your child with you if separated. 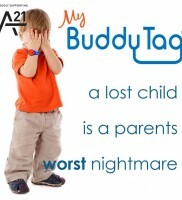 Emails you the time and map locations when your child was last seen by BuddyTag App. 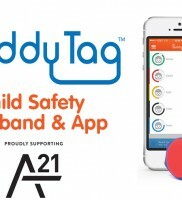 Perfect for parents with a nanny taking the kids out for activities!